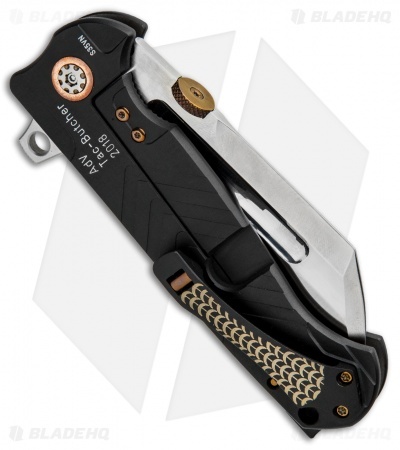 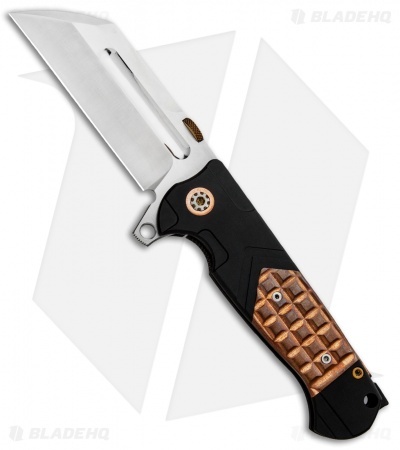 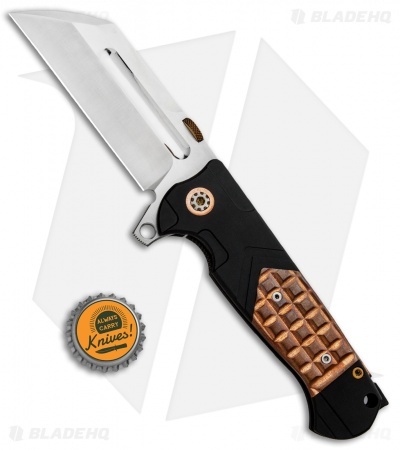 This Tac Butcher has a black finished titanium handle with a copper frag inlay. Its CPM-S35VN steel blade sports a polished satin finish. 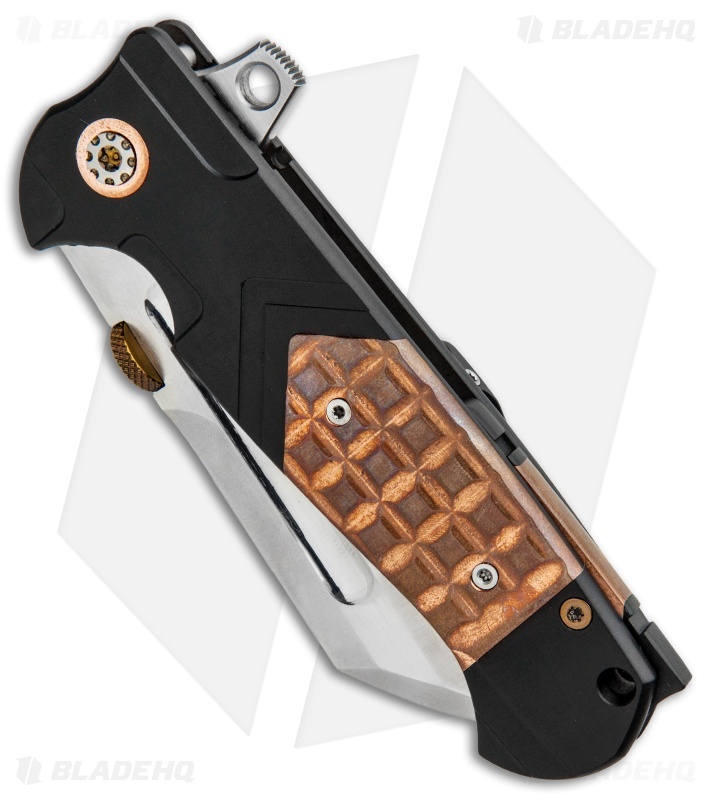 The Tac Butcher is an impressive tactical folding knife design from Andre de Villiers with a mid-tech custom build. It offers an excellent feel in hand along with smooth and precise flipping action from a ball-bearing pivot. Titanium handle construction with a notched backspacer and a unique pocket clip finish off the outstanding design.